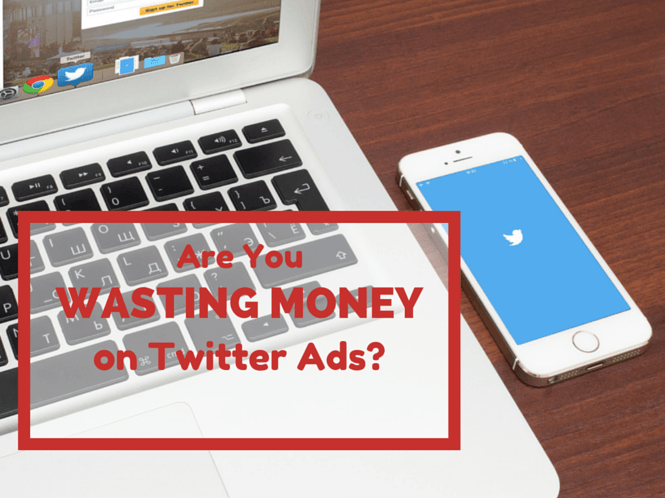 Are You Wasting Money on Twitter Ads? With all the buzz surrounding word-of-mouth marketing and social selling, it’s easy to forget about the more traditional method of consumer outreach: paid advertising. While the focus for marketing and sales teams has shifted to a more relational, organic approach to customer interaction, we can’t ignore the impact that paid ads have in the social media landscape. More specifically, I’m talking about Twitter advertisements. We know that Twitter holds some (if not a good deal of) credence with brands and companies across the country when it comes to paid outreach. After all, the social media platform now boasts about 100,000 active advertisers, up 74 percent from the last active advertiser count. And, in an effort to further increase their ad revenue, Twitter recently announced a global expansion for their self-service ads platform—a service that will now cover more than 200 countries, up from the 33 countries previously served. All of this information creates a convincing case for the effectiveness of a platform that promises to “reach potential customers” and “gain more followers.” But when you invest in Twitter ads, are you really getting the most bang for your buck? To answer this question, let’s first take a look at the different types of paid promotion that Twitter offers. First, there are the promoted tweets: a regular tweet that you pay Twitter to promote in hopes of reaching a wider audience, driving traffic, and spreading brand awareness. Second, there are promoted accounts, which are regular accounts that appear in users’ “Who to Follow” windows in order to gain more followers and reach potential customers. Finally, there are promoted trends, used for promoting campaigns (usually with a hashtag or keyword) that appears on Twitter’s “Trending Topics” list. The benefits of investing in one or all of Twitter’s paid promotion options are substantial. For one, you have great flexibility when it comes to selecting a target audience. You can narrow your outreach based on interests, geography, gender, device, or users that are like your current followers. Twitter also allows you to maximize the relevancy of your message by targeting with keywords in people’s Tweets. Another benefit is that your message is amplified and will reach more people, which can (but not necessarily will) lead to increased brand awareness. Of course, there are some drawbacks, too. For example, you are limited by certain features of the interface and the navigation among campaigns. Overall, it seems that yes, Twitter ads can and do work. But are you getting your money’s worth? 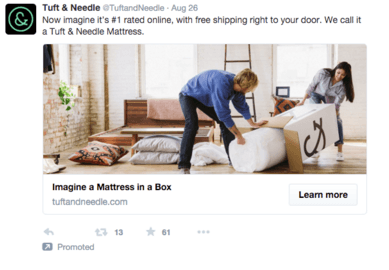 If you’re not sure, here’s how to get the most out of your investment in Twitter ads. If the content that you pay to promote is subpar, then your results are likely to be unsatisfactory as well. While what constitutes “quality” can vary based on industry and target audience, the overall elements required to produce high-grade content typically remain consistent. Some markers of grade-A messaging include correct spelling and grammar, a high readability score, and hyper-tuned relevancy. Quality content provides an engaging, relevant experience while establishing your credibility and building trust with your audience. Don’t let the technicalities of Twitter ads make you overlook the actual marketing message you wish to convey. While Twitter ads put you in control of your budget (you only pay when users follow your account or retweet, favorite, reply, or click on your Promoted Tweet), it’s important to keep track of the value of that budget, since the platform runs on a bidding system. If you are not seeing the level of impressions that you would like or are paying too much per result, adjust the bid accordingly. You should also discontinue copy options that aren’t resonating with your audience, so that the remaining budget can be put to better use behind higher performing content. Once your campaign ends, you can then analyze your insights to find out your ROI, discover where you lost/gained followers, and tune into what worked or didn’t work in terms of content. As I explained above, there are several different types of Twitter ads that you can try. If you’ve never used them before, it may be worth testing a couple different types of ads at the same time to see whether a certain type resonates with your audience and drives results. Because it’s relatively simple to adjust where you’re putting your funds, you can quickly track the performance of your ads and re-allocate resources to the ones that are working best. To illustrate some different options for you to consider, we’ve put together a few examples of companies that are running ads the right way. The card serves as a method of catching the user’s attention, relaying all pertinent information the user would need to understand the brand and giving the user an avenue to act upon the ad, all in one concise package. As you can see, this is a normal tweet that can be used for less invasive brand awareness purposes. There are no direct calls to action, no catchy taglines—just a tweet, with or without an image, and a link. Promoted Tweets are fast and simple. Brands can even promote tweets that have already been tweeted organically. This serves as a quick and easy way to take a piece of messaging that has been very successful and received great engagement and quickly scale it to reach a wider audience outside of your followers. Want to get the best results possible from your Twitter ads? Insightpool’s Ads Optimization platform drastically increases the effectiveness of your Twitter ads while generating a higher rate of conversion. Through the use of our unique algorithm, the ads targeting platform not only utilizes interest data, but also analyzes thousands of behavioral data points to identify relevant people and predict those who are most likely to engage with the customized media campaigns. 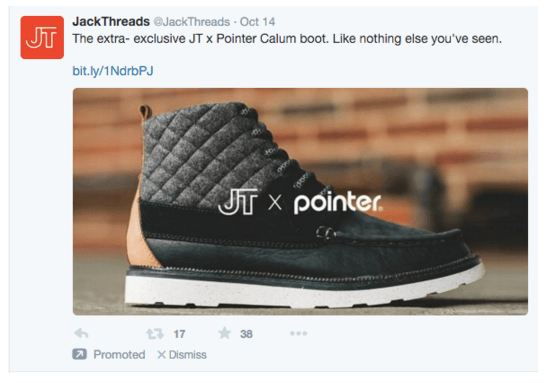 When executed strategically, advertising on Twitter can successfully go hand-in-hand with word of mouth marketing and social selling efforts. When you plan carefully and analyze results, paid advertising can be a great use of your business’s budget. Devon Wijesinghe is the CEO at Insightpool, The Predictive Word of Mouth Marketing Suite, that is revolutionizing word of mouth marketing through data powered social solutions. Devon co-founded Insightpool in 2012, and in this short time has led the company from two to 60 employees, acquired a Silicon Valley start-up, Next Principles, and is currently revolutionizing marketing and sales across social.